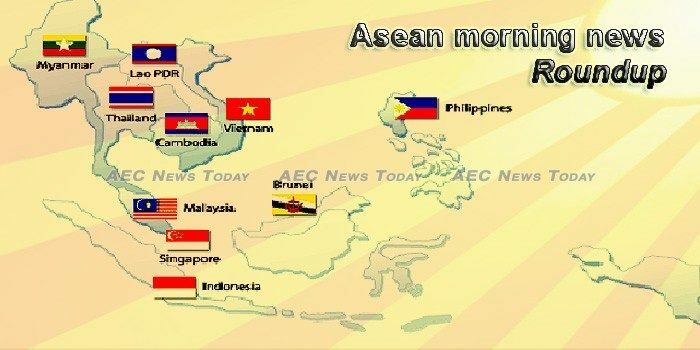 ASEAN has become a central feature of Seoul’s New Southern Policy (NSP). It includes an incentive for ASEAN members to further facilitate South Korean engagement with North Korea to bring stability to the Korean peninsula. Countries belonging to the Association of Southeast Asian Nations (ASEAN) represent the greatest opportunity for fintech development in the near term, according to a new report by Deloitte and Robocash cited by Crowdfund Insider. As 2018 draw close with many curious about what we think of 2019, we are launching a series of predictions for the different emerging markets. Who are Southeast Asia’s mass affluent and why do they matter? MARKET researchers have found that plenty of Southeast Asia’s nouveau riche spends lavishly, but their buying habits of those in the region tend to be nuanced and don’t necessarily fall within certain expectations. Brunei’s first filmmaking college, the Mahakarya Institute of the Arts Asia, is slated to begin operations in February 2019 and is aiming to establish a sustainable ecosystem for filmmaking and creative content in the country, a report in The Scoop said. ALLIANZ Real Estate (ARE), which recently acquired a 20 per cent stake in Ocean Financial Centre in the Singapore CBD for S$537.3 million, is seeking to expand in Asean in 2019. Her great-great grandmother made pottery, and now, her own great-granddaughter works in one of the oldest pottery villages in Southeast Asia, located 10km from the central coastal city of Phan Rang in Ninh Thuan Province. As the international order enters into a multi-polar world, Cambodia, it seems, is adjusting its foreign policy objectives and strategies accordingly. In the new world order, current Cambodian ruling elites believe that Cambodia’s destiny cannot be detached from the Asian powers. A solar power plant worth more than $58 million, which is under construction in Kampong Speu province, will start installing 200,000 solar modules in January next year and begin operating late next year, said solar panel supplier JinkoSolar Holding Co Ltd.
Industry Minister Airlangga Hartarto has claimed that the contribution of the manufacturing sector to the country’s gross domestic product (GDP), which is 20.5 percent, is higher than the global average GDP contribution from the sector. A tornado swept through Panguragan Kulon village in Panguragan, Cirebon, West Java, on Sunday, killing one person and causing widespread destruction. The powerful winds have reportedly has damaged 165 houses in the area. Malaysia has seen a total foreign net outflow of RM11.65 billion from Bursa Malaysia as at December 28, 2018, registering the largest yearly foreign net outflow since 2015, says Malaysian Industrial Development Finance Bhd (MIDF) Amanah Investment Bank Bhd. Malaysia’s official reserve assets amounted to US$102.03 billion as at end-November 2018, while other foreign currency assets stood at US$51.6 million for the same period, Bank Negara Malaysia (BNM) said. Malaysia’s economic indicators are very encouraging despite the Pakatan Harapan (PH) administration being a new government, said Finance Minister Lim Guan Eng. After four years in which political speeches, meetings and even putting up party posters were punishable offences, Thai electoral politics are powering back to life ahead of a poll in February. A total of 236 people have killed and 2,265 others injured in 2,194 road accidents after number were released for the first four days of the New Year holiday period’s “seven dangerous days”.